Mystery Blogger Award – Stay Strong, Daily Warrior! Today marks the first month that I’ve been really active on this blog. I used to long for positive interaction over the internet, but was scared of stranger danger and trolls out there. This blog has become something I cherish because of all the people within it. Here, I found a supportive, encouraging community with brilliant individuals. You guys are seriously amazing. I hope you know that. 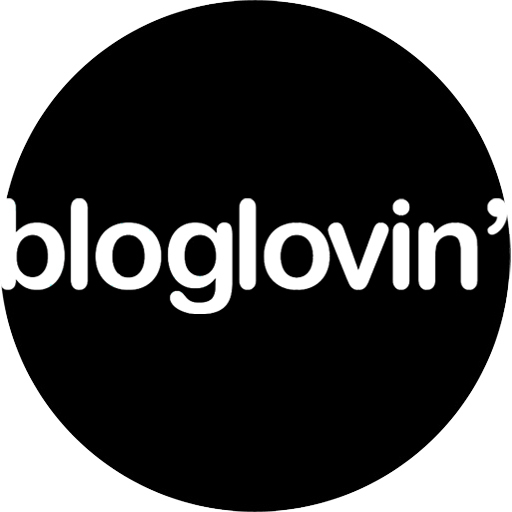 Today, I’m posting about the MYSTERY BLOGGER AWARD created by Okoto Enigma. Thanks so much to Elena for nominating me. Anyone who sees me will know this as I always wear a violet watch and most of my things are violet (even the walls of my room). My brain associates it with relaxation. I find posing for photos very awkward. I probably have it in my bucket list somewhere: Model for a photo shoot. But as life would have it, I’m turning out to be the girl behind the camera instead of in front of it. I believe in Jesus Christ as Lord and Savior because my personal life experiences led me to, but I love everyone no matter what they believe in. I enjoy diversity and difference of opinions, as long as it can be discussed in a decent manner. I always try to find the good in people, the roots behind actions, and WHY we believe what we believe in. 1. What do you wish exist? I wish that world peace existed. It’s odd, because as humans we actually need conflicts to grow. But I’m a peace-loving individual, so I prefer that everyone got along just fine. And I hate all the discrimination and division among different people. What motivates me each day is the thought of leaving a meaningful legacy in this world. Life is too short for me NOT to fulfill my life’s purpose. 3. Do you hate Mondays? Monday is like any other weekday to me. I do like Sundays, though. This is when it’s quiet and I see people are relaxed or spending time with their families. 4. What seems mysterious to you? Answering this question would require me to make a list, even a spreadsheet. Haha! There are so many mysterious things on earth and beyond. Studies about the universe, the deep sea, worldviews. Anyway, probably the biggest mystery to me is the human brain. What makes people think and behave the way they do. 5. (Weird Question) If you were a bird, who would you sh*t on? If I were an animal, I imagine I’d still have my human charateristics. So I’d probably be shy and want my privacy when nature calls. Hahaha! I checked my stats for the post with most views. Interestingly, it’s the most personal story I have posted here so far. It’s about how a younger me dealt with a life-changing news. I’m not really sure who has already been nominated for this blog award, so is it okay to nominate ALL of my followers? Every blog I see here is amazing, and I’m always so fascinated by each mind as they unravel on these pages. If you think it would be fun to answer the following questions in a post, please feel free to answer them and create a pingback to my post here. 1. What is one goal you’d like to accomplish during your lifetime? 2. Describe your form of spirituality. 3. What movie is close to the story of your life? 4. Which author would you like to hang out with for a day? 5. (Weird Question) If you could read one person’s mind, whose would it be? I hope some of you do answer these interesting questions. I’d love to know more about you all. Yay! Awesome! I cant wait! Ok, you are awesome! I love your strong faith God bless you sister! Hi Lorrie! Thanks! I even posted an awkward picture, eh? haha! I loved your photo 🙂 I will answer when I can, have a great Saturday. Hi Andy. Thanks very much! I’m not sure if you do awards on your awesome blog, but it would sure be interesting for you to answer my questions here. I have the questions answered. Do you want me to post them in the comments on your site? Liz, Thanks for asking me to answer these! C.S. Lewis said, “You are never too old to set another goal or to dream a new dream.” With that in mind I am always looking for new inspiration in my life. My goal at the present, which has taken several years already, and will most likely take many more, is to complete my memoirs and tell as many family stories as I can remember. The goal is to pass these on to my great, great>>>>> grandchildren so they will know something about their heritage. I don’t know that there is a movie close to the story of my life. I guess I am an old soul with nostalgic leanings of the past. In this line there are many movies that I love and feel a part of. Usually ones that tell a true story of the 1940’s and 1950’s stir my soul, even the romantic. Unfortunately, with my pea brain memory, I remember the movies, just not the titles, hahaha! Rick Bragg! His writings of growing up in northern Alabama are right up my alley. If you have not read him, you should start by reading Ava’s Man. You’ll be hooked. Hearty congratulations Liz, keep it going. K but I have not received it in my blog Liz. K dear Liz, thanks so much 👌👌👌👌👌Liz have u read my post today you will like it . It is on Why worry, let me know how was it. Thanks so much. I noticed you don’t have the Mystery Blogger Award yet (I think you have 2 awards so far, which is great btw) I could be wrong though. Anyway.. if you dont have it yet.. I’d love to nominate you for this if you could answer my questions. Yeah sure. Honestly, I was wondering about posting about this award myself.. but I thought it would be fun. Dear Liz, I have nominated you for a Mystery Blogger Award (I know you already got one!). Here is the link https://koolkosherkitchen.wordpress.com/2016/12/06/three-awards-and-a-thai-style-chicken/. You are not in any way obligated to accept, and I fully understand that not everyone has the time and inclination to participate in these self-and-others-promoting exercises. Therefore, I will truly appreciate if you accept the nomination, as I sincerely think you deserve it, but I won’t get offended if you don’t. Nominating each one of you is my way of giving credit to some exceptional bloggers and perhaps attracting attention to your work. Oh wow! Thank you so much Dolly! It’s always a good feeling to think someone appreciates the writing and blogging I do. My pleasure, dear! You definitely deserve it, and I hope you accept. Warriors are my kind of people! Thank you once again for the nomination. Have a nice day! Pingback: Blogger Recognition Award – Stay Strong, Daily Warrior!